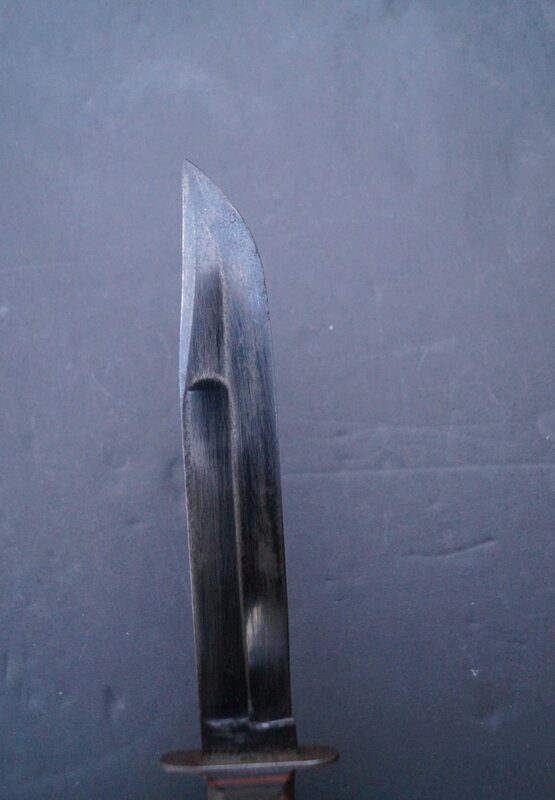 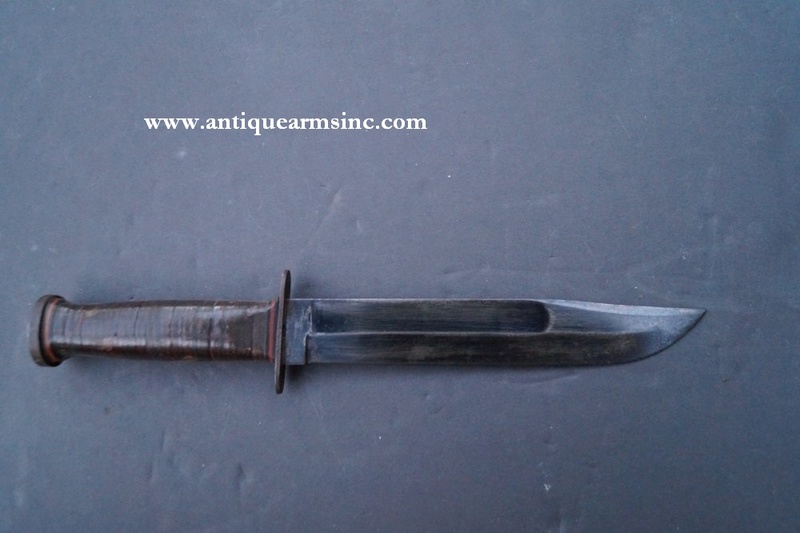 Very Good Example of a Western Cutlery G-46 Combat Knife with the large 8" blued steel blade. 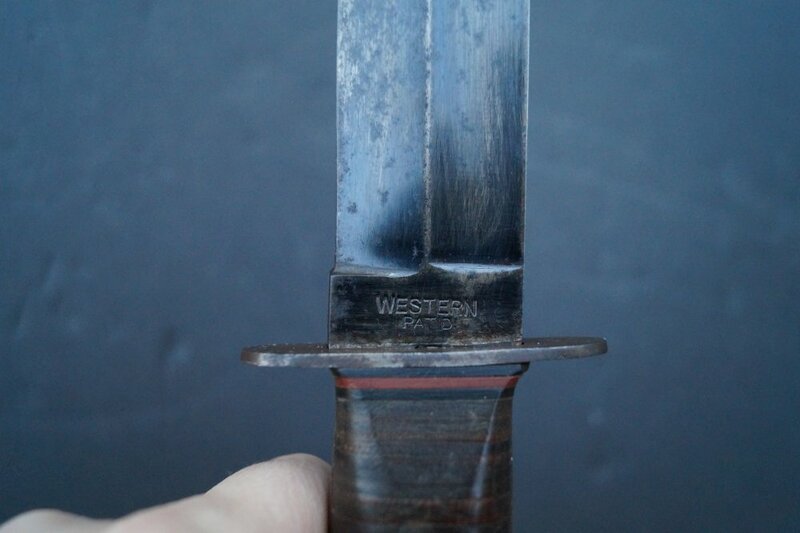 Handle has all of its original leather washers intact and the blade retains 75% original blue. 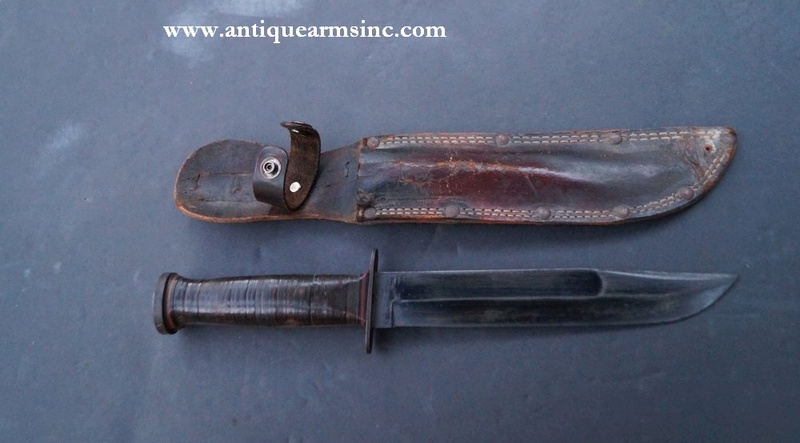 The scabbard is present and is in good working order with no tears and all original rivets. 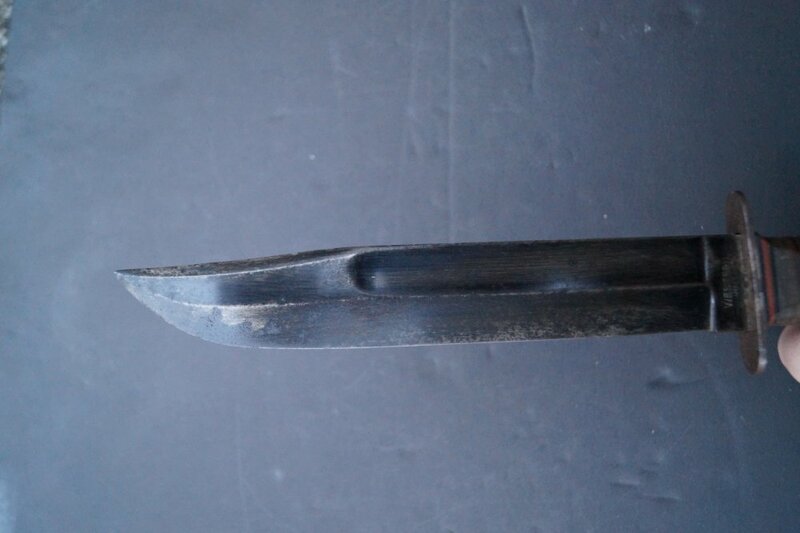 One small hole has been added at the bottom (presumably for a leg strap) and the leather snap for the handle looks to have been replaced as these often broke. 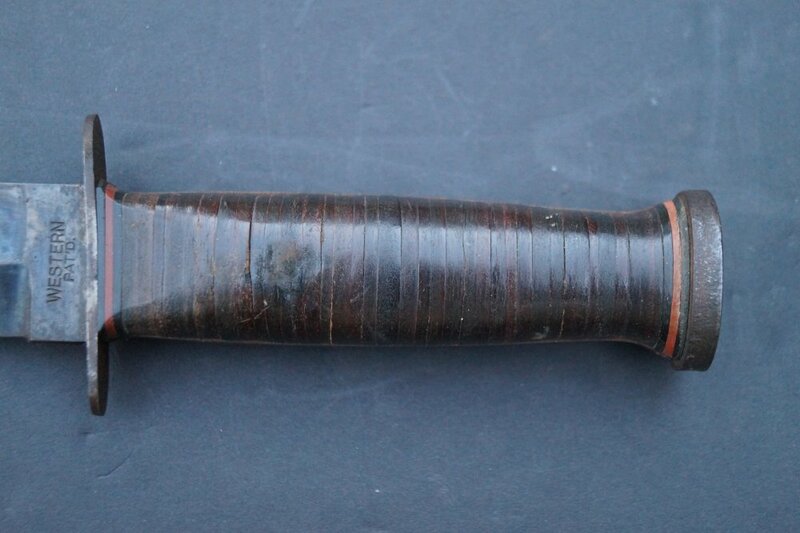 Nicely done and does not distract. 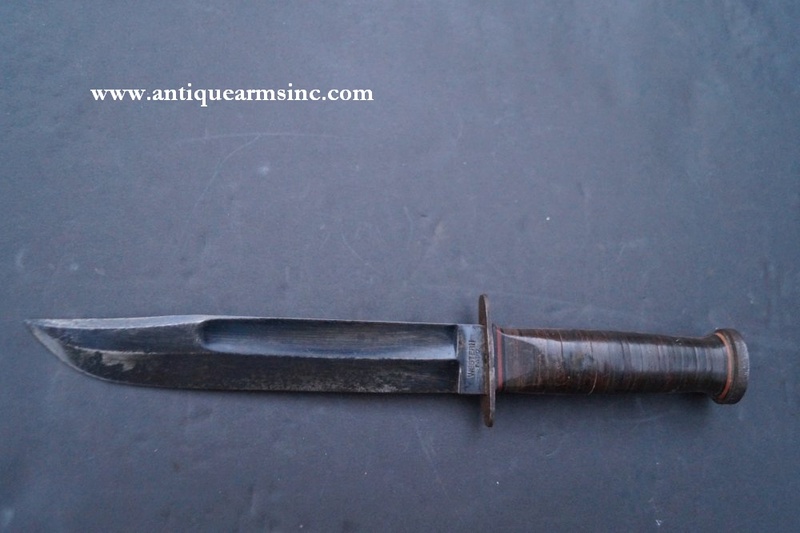 Nice example of a World War 2 fighting knife.